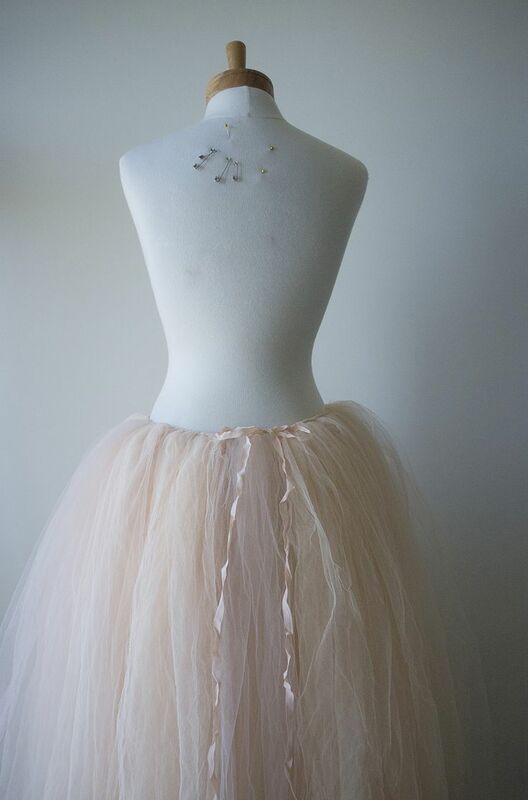 The 14 inch strips of tulle, when folded in half and knotted, give a skirt length of about 6 inches. You can make the strips shorter or longer depending on how long you want your tutu. You can make the strips shorter or longer depending on how long you want your tutu. 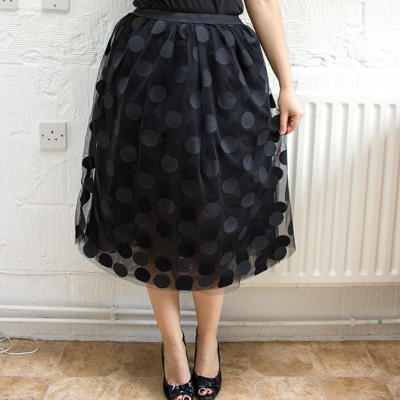 The tulle and fabric skirt combines the same classic tulle tutu principals, but adds a bit of fabric whimsy to make it just right for every day dress up wear. My daughter loves it, and can wear it to school any day she wants – perfect for Fall and Winter attire. I cannot wait to dress this up with boots and tights :).